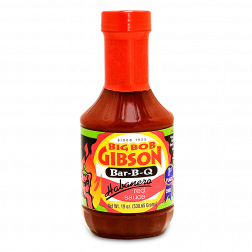 Save yourself the time and trouble of getting Big Bob Gibson's Red Sauce in a small bottle, upgrade to the gallon size! You'll be yearning for more after one taste. 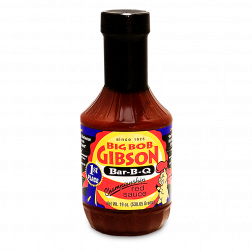 - Big Bob Gibson's Red Sauce is Big Poppa's go-to red sauce! The "best BBQ hot sauce," say the experts of the National Barbecue Association. If they rated Habanero Red Sauce a blue ribbon winner.. what's there to question? 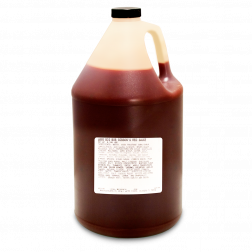 - Habanero Red Sauce must be a a bottle of spicy goodness! Folks, white sauce is a real BBQ sauce but don't let the color fool you, white sauce is nothing like ranch. 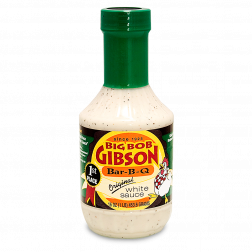 Those who try Big Bob Gibson's White Sauce never look back! Big Bob Gibson's White Sauce is like a secret ingredient for your chicken. How many sauces have won "Best BBQ Sauce" three consecutive years? This one. Just this one. This BBQ rub has many championships to it's name and is a customer favorite because of it's ability to seal in juices and add incredible flavor to any cut of meat. Big Poppa recommends it for any kind of pork for a tastebud blowing experience. 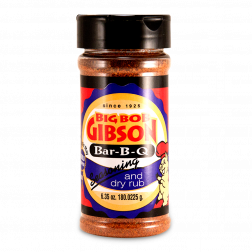 Get blue ribbon BBQ in your backyard with Big Bob Gibson's BBQ Rub.